During this holiday season, I’m participating in a one day #GiveBackFriday sale with a wonderful group of teacherpreneurs. I’d especially like to extend a heartfelt thank you to all of my customers and friends by offering two products at 50% off. Since this is the time for giving, I’ll be donating 20% of my profits to an organization called American Foundation for Children with Aids (AFCA) run by my niece, Tanya Abadia. All you have to do is go to Tpt and type in #GiveBackFriday and you will see all the items that are half price. 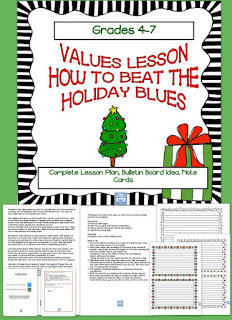 The resources that I’m including are a values lesson entitled How to Beat the Holiday Blues. Holidays are a time of sadness for many, and our children are not immune. This little activity will help them to feel better about themselves. It involves having the children give complimentary notes to each other, and the teacher. 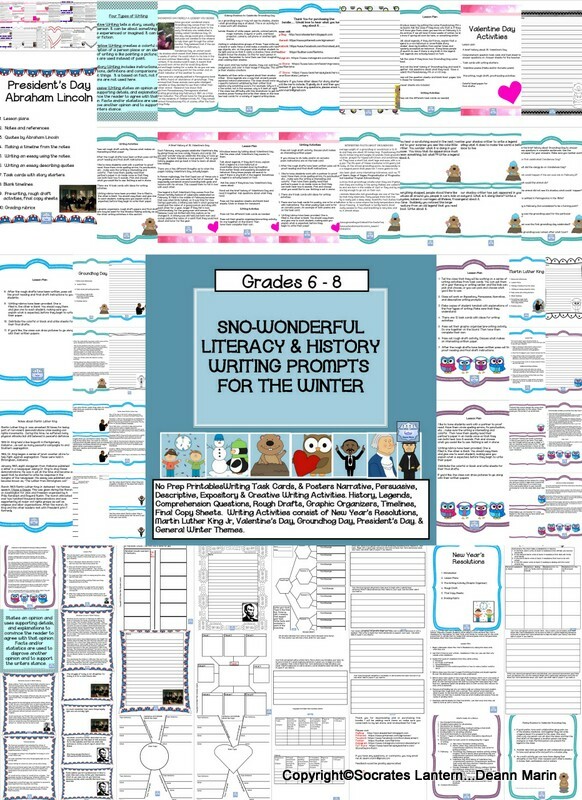 The second resource is a winter writing prompt bundle entited, Sno Wonderful Literacy and History Writing Prompts for Winter. 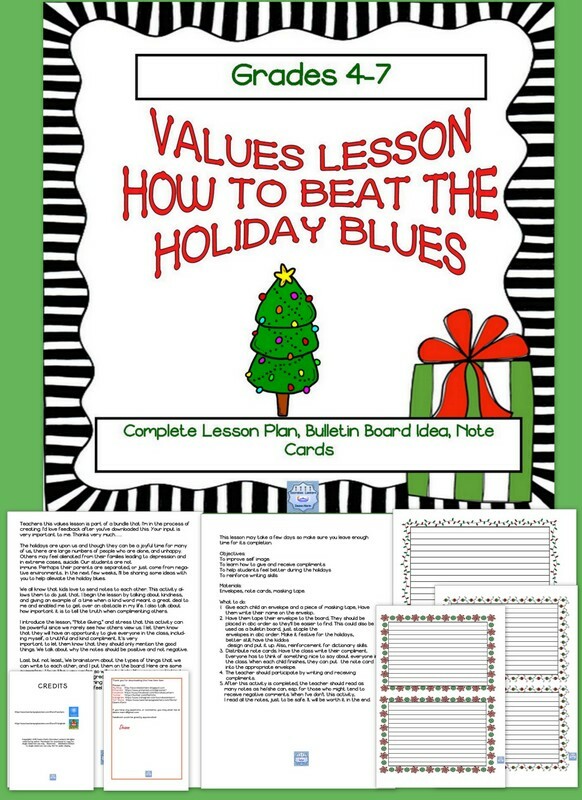 It includes: No Prep Printables such as Writing Task Cards, and Posters for Narrative, Persuasive, Descriptive, Expository and Creative Writing. 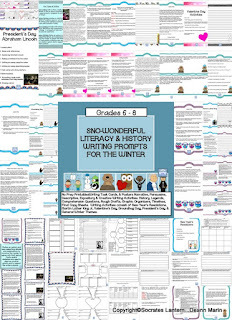 History, Legends, Comprehension Questions, Rough Drafts, Graphic Organizers, Timelines, and Final Copy Sheets. Writing Activities consist of New Year’s Resolutions, Martin Luther King Jr, Valentine’s Day, Groundhog Day, President’s Day, and; General Winter Themes. Please visit Socrates Lantern's Social Media Sites.